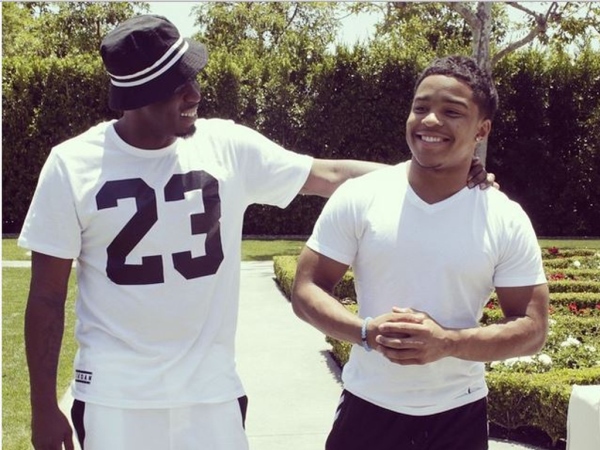 Sean ‘Diddy’ Combs’ son Justin was reportedly “bullied for nearly three years” by his coach. The 45-year-old hip hop mogul was arrested on Monday after confronting Sal Alosi, strength coach for the University of California Los Angeles Bruins football team. Apparently Justin (21) has been unduly harassed by Sal since he arrived at UCLA as a freshman in 2012. Surprised to see his son at home, it’s claimed Diddy decided to visit the UCLA campus because he wanted answers as to why Justin was barred from practising with his teammates over the next few months. The rapper supposedly went solo in an effort to take his celebrity status out of the equation. “Sean wanted to go down there to see what happened. He went with no entourage, no security. Just to talk to the coach. He wanted to figure out the problem. The coach refused to talk,” the insider detailed, noting Sal said: “Get out of my office or I’ll call campus security”, when Diddy arrived. Moments later it’s claimed Diddy picked up a kettlebell in defence, and this action led him to being charged with three counts of assault with a deadly weapon, one count of making terrorist threats and one count of battery. Coach Sal’s eight-year NFL career ended in 2010 following his suspension from the New York Jets. He was taken off the field by the professional club for tripping a Miami Dolphins player.